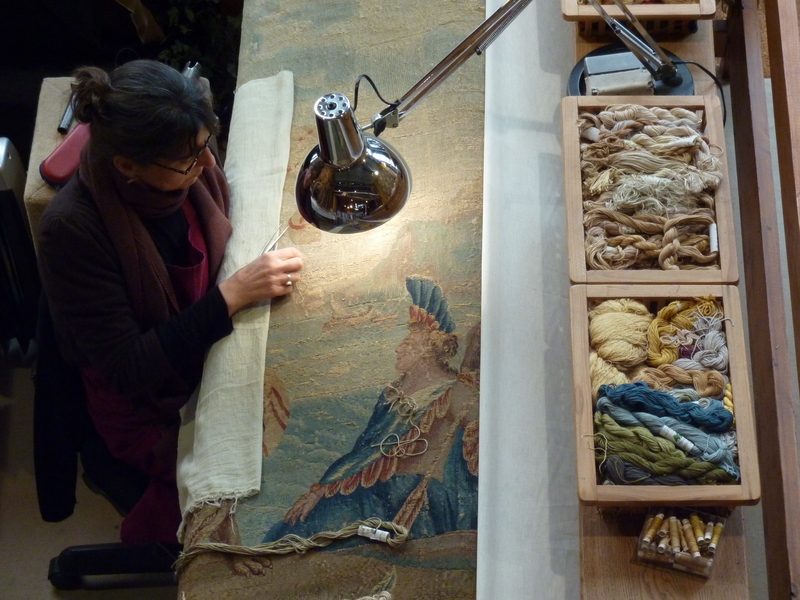 Since its creation in 1989, a specialized textile restoration workshop has been an integrated part of the Gallery Girard . Its skills and expertise are recognized by many collectors and institutions in France and abroad.Faithfull to Lyons’ excellence in silk production, this workshop strives to perpetuate this high quality know-how. Located in the heart of Lyons’ antiques district, it benefits from and participates in a working environment of specialists in arts and crafts including upholsterers and cabinet-makers. All share the same viewpoint concerning excellence and quality. 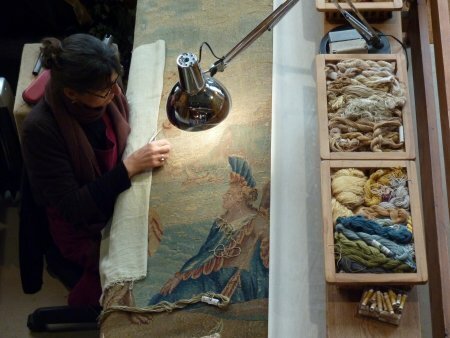 In order to satisfy customers particular about high quality, passionate and perfectionist conservators work with a continuous concern for the piece under restoration and the reversibility of restoration processes.